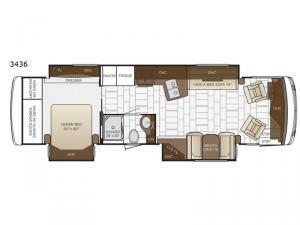 Stepping inside this Ventana 3436 class A diesel motor home by Newmar, you will be wowed by the space and beauty. You will immediately notice two of the three slide outs. 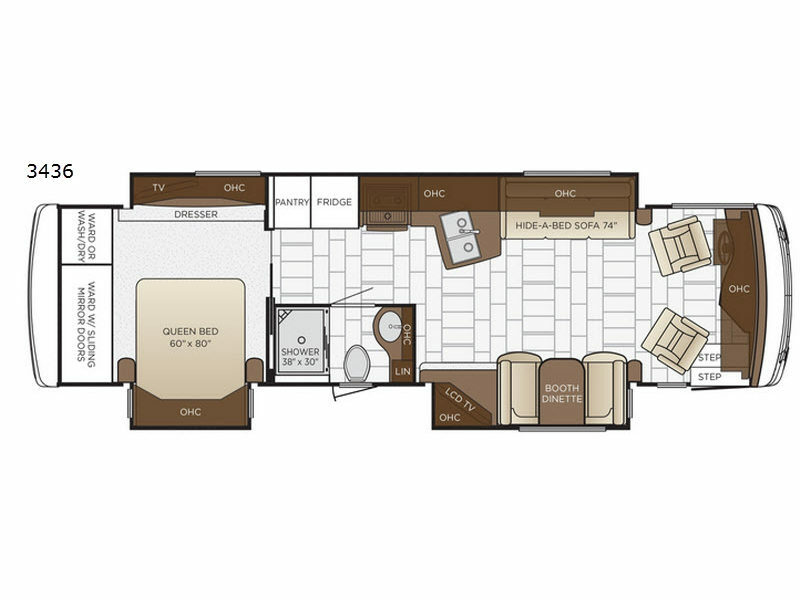 The full wall slide out along the roadside features a 74" hide-a-bed sofa as well as all of the kitchen amenities needed to create your favorite meals. You will enjoy the large pantry for your canned/dry goods, plus throughout this model there is plenty of storage with all of the overhead cabinets, large wardrobe, and dresser!